Tell us about your journey to becoming a champagne expert? It is a long story that actually started when I was 8 years old. I visited a winemaker in Mosel valley with my parents and while there, I was the only one pinpointing the wines in a blind tasting. That is when I understood I had a gift. But it was not until 1986 when I visited Reims for the first time that it all took off. Since then I’ve fallen in love and my passion, in combination with my ‘photographic memory’ of smell, started the train rolling. 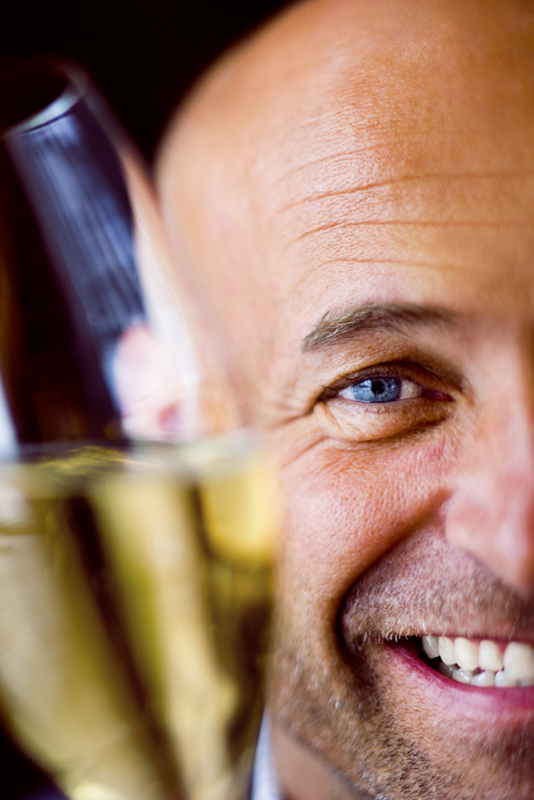 What are the rules of champagne tasting? There are different rules, but for me the most important is to be 100% focused in my own mental bubble so I experience each sublime facet of the magic wine. What do you love about champagne so much? I love life and few things are as multifaceted and full of life as champagne. Over time, the changing face of champagne is similar to that of human life. Why do you think champagne has stayed so popular and remained a luxury icon for so long? Simply because it tastes and feels so good. What was the first champagne you tasted? What accessories should every champagne lover own? Perfect champagne glasses, an ice bucket, a wine fridge or a cellar, and a decent collection of vintage champagnes. What do you love to eat with your champagne? Champagne is the perfect drink with so many dishes, and today is the only wine that can follow a whole degustation menu from the leading modern chefs of the world. Is there any music that you love to hear while sipping bubbly? Yes, very much so, but according to my mood I choose both the music and the champagne. More classic stuff with light blanc de blancs, jazz with the more powerful and prestigious cuvees, and nostalgic Dire Straits in the car when I am in Champagne. Do you have a favorite movie that featured champagne? All the great scenes with 007 sipping a Bolly or a Dom while seducing his women. Are there any faux pas you see in serving and drinking champagne? Too many drink champagne when smoking, too many drink champagne too cold, too many drink out of the wrong type of glass, and too many serve dry champagne with dessert. What do you wish people knew about champagne? That it is the best bargain in the wine world and there are 5200 different producers of champagne globally. What is your favorite Champagne flute? It is not a flute it is my own glass, the Juhlin Glass. Your Champagne Bars sound like exciting and beautiful places to experience champagne, tell us about them. We run three, pure champagne bars in Stockholm, Göteborg & Malmö. Our major focus is the bar in Stockholm, Sweden which hosts 1 700 members. We also have members in 43 other countries. Share the difference between enjoying an evening at your Champagne Bar vs. sipping champagne at a cocktail bar. Our total focus is on the lovely bubbles! Since the bar is open only on Fridays we can really be playful. We serve 25 to 30 champagnes by the glass and we change the house champagne every fortnight, this weekend we are featuring Gosset ‘Grande Réserve’ by the magnum. There are also pre-set tasting flights – ‘Three styles’, Three growers’, Three Vintages’, ‘Three BdB’s’, ‘Three Blind mice’… the list goes on. What’s the philosophy for the look behind the Champagne Bars? Stylish and sophisticated with a relaxed air… Like the home of Richard Juhlin! You’ve opened several Champagne Bars. What inspired you to open Champagne Bars with a cocktail atmosphere? To offer our members a fun and relaxed environment in which to experience the pleasure of champagne. What are your future hopes and plans for expansion? We have discussions about opening in Copenhagen and Oslo. For the future, we hope for Reims, Paris, Singapore, New York, and London. It all depends on the right partners. That depends on the company with whom I’m sharing the bottle. Why do you love Champagne? Some things need time. There are no perfect wines, only perfect moments. There’s a minimum amount of time needed to really appreciate a great wine. A great champagne demands that same luxury of time. To really explore the beautiful dynamics and complexity in the structure of a great champagne, we need to slow down, listen, reflect and feel. Imagine the millions of years it took champagne to form it’s shape. The years it took the vines to gain the optimum age, the pace of the growing season, the long time the lees need to be in contact with the champagne, all those years in dark cellars… It’s slow, it’s beautiful, It’s transparent and it’s bubbly… That’s why!